Wayne Vernon Holman, age 66 of Perryopolis passed away on Friday, September 14, 2018 at his home. He was born on March 10, 1952 in Charleroi, a son of Albert Vernon Holman and Evelyn Mae Crouch Holman Robinson. In addition to his parents he was preceded in death by his sister, Janet Robinson; step father, Robert Robinson. 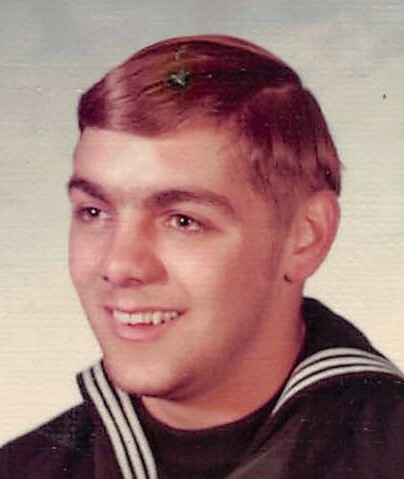 He served his country in the U S Navy during the Vietnam War. Wayne is survived by a daughter, Tiffany Blotzer; grandchildren: Madison and Logan; sisters: Charlotte Angelo and her husband Gary, Carrie Brown and her husband Gary, all of Perryopolis; brother, Robert Robinson and his wife Donna of Greensburg; several nieces and nephews. A graveside service will be held at 12:30 p.m. on Thursday, September 20, 2018 at the National Cemetery of the Alleghenies 1158 Morgan Road, Bridgeville, PA.
Wayne’s professional funeral arrangements have been entrusted to the Blair-Lowther Funeral Home, Perryopolis, PA.